Shofar is the Seminary's system for distributing campus wide alerts. Why Shofar? Shofar is the term for the horn that was used to summon the people for religious occasions or announcements in the Hebrew tradition. The activation of this alert system will be used in the case of weather-related cancelations and schedule changes and an emergency on campus. Login to my.pts.edu with your PTS username and password. 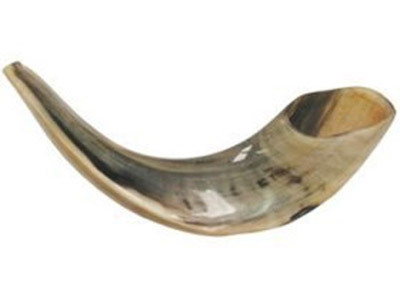 Click on the Shofar tab. In the “View Shofar Information” window, the information displayed is what is currently in our campus database. If this is correct, you are done! If corrections are needed, in the “Edit Shofar Information” window, you can make changes to your home and mobile phone numbers, along with indicating your mobile carrier. You must include your provider to ensure you receive future messages. The new system is an opt-out system which means all students, faculty, and staff will receive alerts. If you wish to opt-out, you can choose to opt-out of all messages, messages to your home phone, or messages and text messages to your mobile phone. Make sure to click the submit button. Voice and text messages will be sent. Please remember that charges associated with your calling plan will apply and you will be responsible for those charges. Receiving a message from Shofar, however, will cost you no more than receiving any other phone call or text message. We encourage all members of the PTS community to periodically review the Seminary's emergency response plan. Updated yearly, this document provides a basic procedural framework for responding to many types of emergencies on campus.